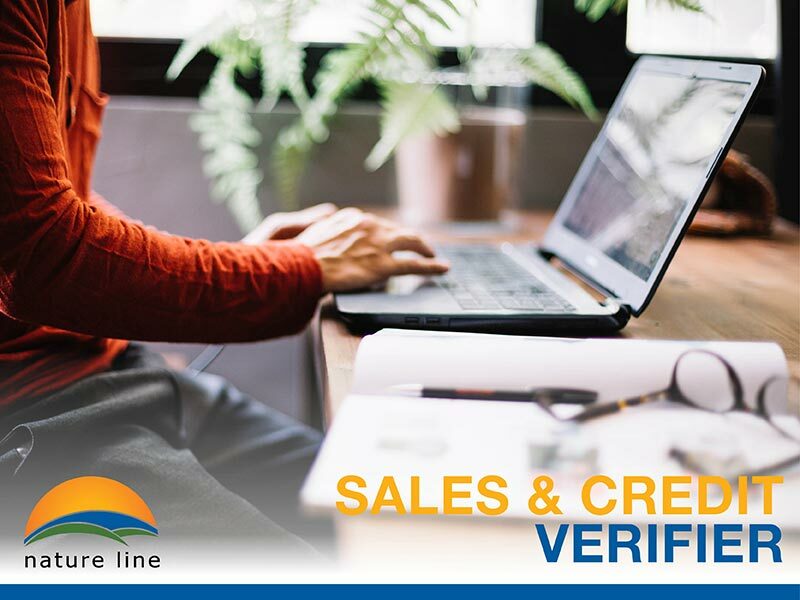 A responsible and mature Sales & Credit Verifier is needed to assist one of the leading companies involved in the local manufacturing and distribution sector of food products. Persons who have experience in stores administration, stores organisation, stocktaking and consignment checks will be given preference. The selected candidates will be required to work 40 hours per week from Monday to Friday. All applicants must be responsible, accurate and well-organised. Be honest team players, outgoing, able to work on their own initiative in a very busy environment, willing to work extra hours when required and able to work in a dynamic environment. C. Cini Mfg Ltd are seeking to recruit mature, responsible and experienced Machine Setters & Operators to join their team. Should be a good team player, have an eye for detail, good communication skills and well mannered. Applicants shall be responsible for setting, operating and cleaning the assigned machinery at our production factory. The ideal individual must be hardworking, ambitious and well organised with hands on experience on production line machinery. The chosen candidate will be responsible for the operation and upkeep of machinery, whilst ensuring that production targets are met and the work produced is in line with quality standards. Applicants with previous experience in similar posts will be given preference. Nature Line. Ltd. is seeking to recruit delivery helpers on full time basis, who will be responsible for the daily loading and distribution of our products, and assisting the delivery team in daily tasks throughout the Maltese Island. The chosen individual must have the ability to read and write Maltese and English, be self-motivated and able to work under pressure. All applicants must be responsible, well-organised and willing to work extra hours when required. Also, candidates should be honest team players and able to work on own initiative in a very busy environment Experience in a similar position is ideal but not essential as training will be provided. An attractive salary is offered to the right candidate. All interested individuals are kindly asked to forward their CV to [email protected] or by post to C. Cini Mfg. Ltd. 30, New Street Qormi or call on 21444324, by not later than Friday 28th September 2018. 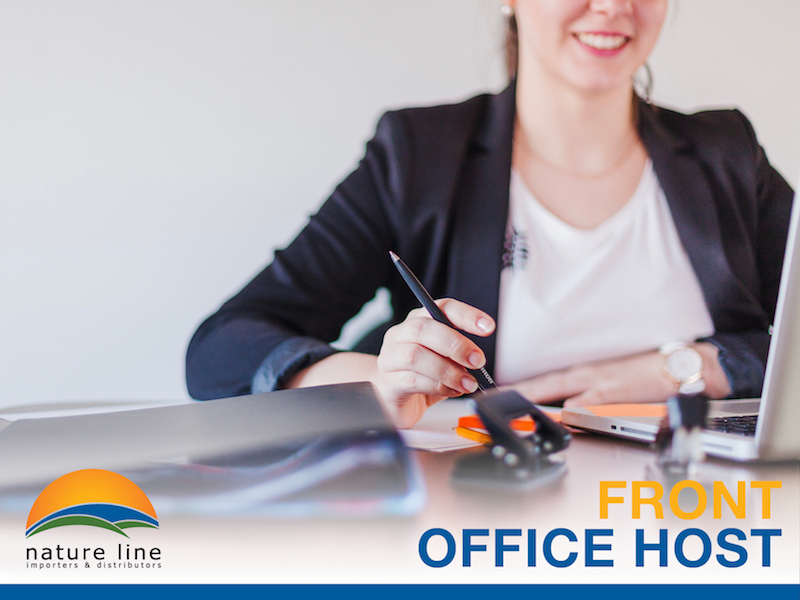 Nature Line Ltd. is seeking to recruit delivery persons, who will be responsible for the daily loading and distribution of our products throughout the Maltese Islands on full time basis. Reporting to the Logistics Manager, the chosen individual must have the ability to read and write Maltese and English, be self-motivated and able to work under pressure. Applicants must have a clean driving licence and ideally in possession of a driving licence C or C1, however training for licences C will be offered. Candidates with experience in a similar position and with good orientation of localities will be given preference. All applicants must be responsible, well-organised and willing to work extra hours when required. Also, candidates should be honest team players and able to work on own initiative in a very busy environment. A good salary + delivery commission and other allowances are being offered to the right candidates. All interested individuals are kindly asked to forward their CV to [email protected] or by post to C. Cini Mfg. Ltd. 30, New Street Qormi or call on 21444324. A reliable Office Administrator is needed to assist one of the leading companies involved in the local manufacturing sector of food products. The post calls for a dynamic, creative, well-educated, organized individual who is a good team player and can think on their feet and pre-empt situations. An eye for detail, good communication skills including English, Maltese and Italian languages would be considered an asset, whilst some knowledge of accounts is also required. Applicants should hold ECDL qualifications. - assisting customers who visit office and help them out with their queries. This is the perfect role for a young hardworking and ambitious individual, with hands on approach that can eventually progress internally within the company. If this post is of interest, kindly send us your covering letter and C.V. via email to [email protected] by Friday 14th September 2018. 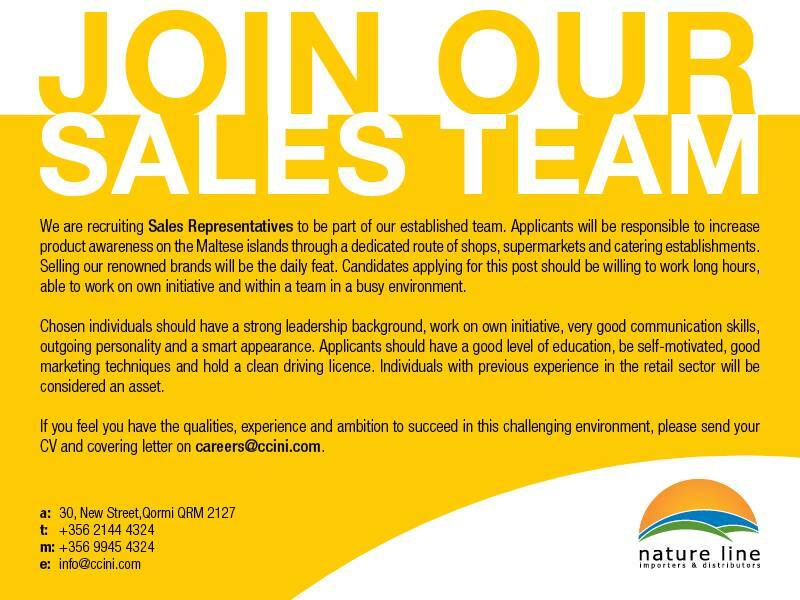 Nature Line Ltd, are looking for an energetic and hard-working Merchandiser to join their team on full-time basis. Reporting directly to the Sales & Marketing Manager, the prospective candidate must work within key client accounts to ensure product availability and maximise product exposure. · attending regular product knowledge training sessions. Applicants are required to be fluent both in Maltese & English, have excellent communication and negotiation skills and posses a clean driving licence and have own transport. Experience in a similar position is ideal but not essential since training will be provided. An attractive remuneration package is being offered to the right candidate. All interested individuals are kindly asked to forward their CV via email to [email protected] or by post addressed to Nature Line Ltd 30, New Street, Qormi. C. Cini Mfg Ltd are seeking to recruit mature, responsible and experienced Machine Operators to join their team. Should be a good team player, have an eye for detail, good communication skills and well mannered. We are recruiting Sales Representatives to be part of our established team. Applicants will be responsible to increase product awareness on the Maltese islands through a dedicated route of shops, supermarkets and catering establishments. Selling our renowned brands will be the daily feat. Candidates applying for this post should be willing to work long hours, able to work on own initiative and within a team in a busy environment. Chosen individuals should have a strong leadership background, work on own initiative, very good communication skills, outgoing personality and a smart appearance. Applicants should have a good level of education, be self-motivated, good marketing techniques and hold a clean driving licence. Individuals with previous experience in the retail sector will be considered an asset. If you feel you have the qualities, experience and ambition to succeed in this challenging environment, please send your CV and covering letter on [email protected] or by post to Nature Line ltd, 30, New Street Qormi. This is the perfect role for a young hardworking and ambitious individual, with hands on approach that can eventually progress internally within the company. If this post is of interest, kindly send us your covering letter and C.V. via email to [email protected] by Monday 6th April 2018. The selected applicants will be responsible for the daily loading and distribution of our products throughout the Maltese Islands on full time basis. Reporting to the Logistics Manager, the chosen individual must have the ability to read and write Maltese and English, be self-motivated and able to work under pressure. All applicants must be responsible, well-organised and willing to work extra hours when required. Be honest team players and able to work on own initiative in a very busy environment. A good salary + delivery commission and other allowances are being offered to the right candidates. 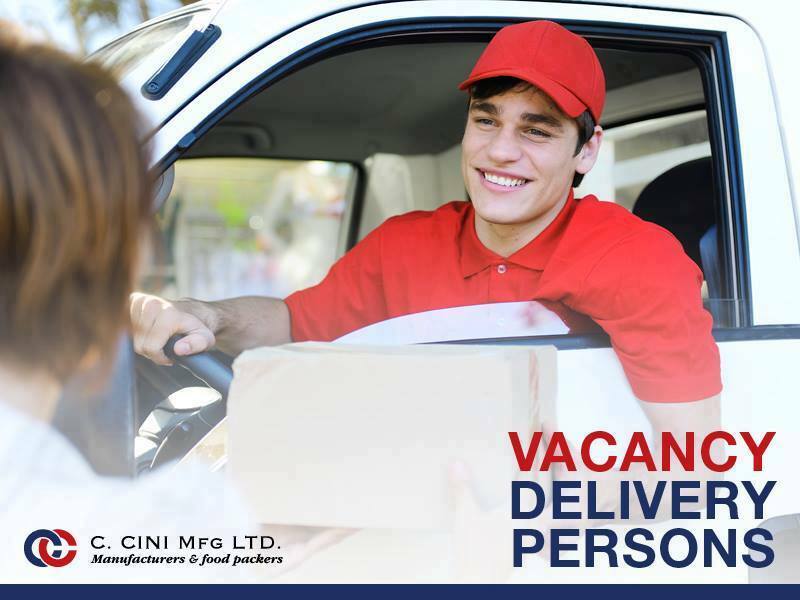 Kindly send your CV by email to [email protected] or by post to C. Cini Mfg. Ltd. 30, New Street Qormi or call us on 21444324. A reliable Production Supervisor / Stock Controller is needed to assist one of the leading companies involved in the local manufacturing sector of food products. • Delegates manufacturing tasks so that team can meet production deadlines. • Manages the efforts of manufacturing workers on the production floor. • Educates production team members about preferred occupational health and safety practices. • Addresses production problems as they arise. • Reports on team performance to Production Manager. • Makes recommendations about ways to improve employee efficiency and reduce costs. • Enforces safety policies and procedures (both in-house and regulatory) to decrease the potential for employee injuries on the job. • Assumes responsibility for manufacturing and shipping processes in the plant. • Ensures all resources and assets are used efficiently and correctly. • Be directly involved in quality control on packaging lines. • Works with staff to ensure a clean and tidy working environment. • Gives ideas to storekeepers to maintain better organisation in our warehouses. • Helps in productions set-up. • Organises and executes daily stock-takes, verifying the physical quantities against digital levels, and making the necessary adjustments. • Performs periodic stock checks and prepares relative reporting. • Records manufacturing stock quantities into the required software on a daily basis. • Monitors product expiry dates and takes the necessary measures to optimise stock turnover. • Gives input to ensure the Company minimises stock holding and at the same time maximises stock system and paperwork accuracy. Due to the nature of this position, applicants with 2 years of experience in a Manufacturing supervisory role, ideally in the food industry will be given preference. In addition, he/she should have knowledge of stock control, with some background in IT. The ideal candidate should possess the ability to work productively, efficiently and effectively, being a good team player and able to work under pressure. The chosen candidate must exhibit strong interpersonal skills and willingness to learn continuously, be well-educated, organised, have an eye for detail and good communication skills. If you feel you have the qualities and experience to succeed in this challenging environment, please forward your CV and covering letter to Mr. Stephen Chetcuti via email [email protected] or by post to Nature Line Ltd 30, New Street Qormi - QRM 2127 by the 4th March 2018. 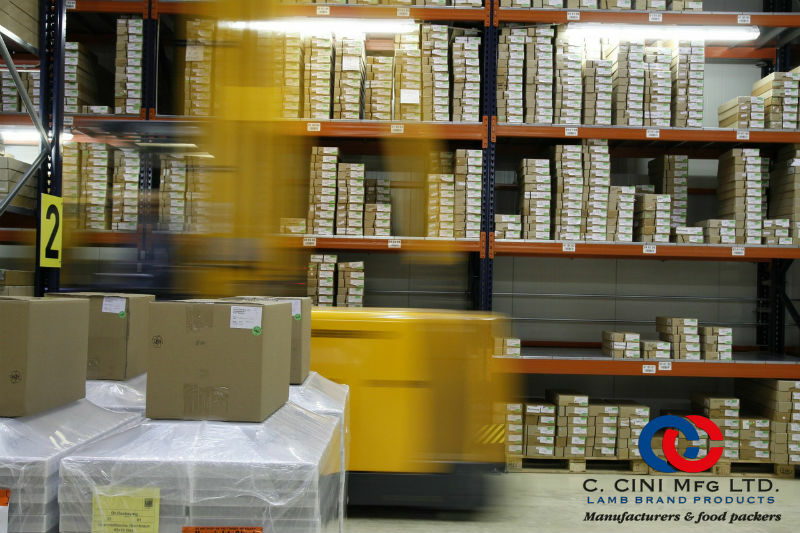 C. Cini Mfg Ltd are seeking to recruit mature, responsible and experienced Storekeepers to join their team. The persons we are looking for should be smart, well-mannered, and good team players. Persons who have experience in stores administration, stores organisation, stocktaking and consignment checks will be given preference. C. Cini Mfg Ltd are seeking to recruit a mature, responsible and experienced Storekeeper to join our team. The person we are looking for should be smart, well-mannered, and a good team player. Persons who have experience in stores administration, stores organisation, stocktaking and consignment checks will be given preference. The selected candidate will be required to work 40 hours per week from Monday to Friday. All applicants must be responsible, accurate and well-organised. Be honest team players, outgoing, able to work on their own initiative in a very busy environment, willing to work extra hours when required and able to work in a dynamic environment. C. Cini Mfg. 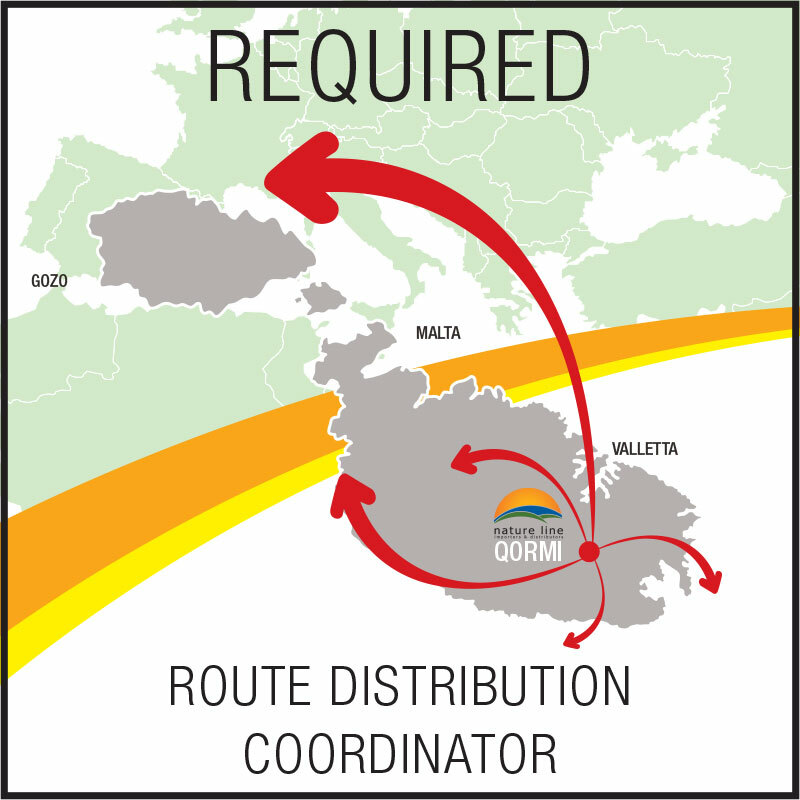 Ltd. is seeking to recruit delivery persons, who will be responsible for the daily loading and distribution of our products throughout the Maltese Islands on full time basis. Reporting to the Logistics Manager, the chosen individual must have the ability to read and write Maltese and English, be self-motivated and able to work under pressure. Applicants must have a clean driving licence and ideally in possession of a driving licence C or C1, however training for licences C will be offered. Candidates with experience in a similar position and with good orientation of localities will be given preference. All applicants must be responsible, well-organised and willing to work extra hours when required. Be honest team players and able to work on own initiative in a very busy environment. A good salary + delivery commission and other allowances are being offered to the right candidates. Kindly send your CV to the Logistics Manager by email to [email protected] or by post to C. Cini Mfg. Ltd. 30, New Street Qormi. The person we are looking for should be smart, well-mannered, and a good team player. Persons who have experience in stores management, stores organisation, stocktaking and consignment checks will be given preference. The person interested in this position needs to have a strong leadership background and must know how to handle problems quickly and efficiently. The selected candidate will be required to work 40 hours per week from Monday to Friday. Nature Line Ltd are seeking to recruit a mature, responsible and experienced Storekeeper to join our team. The selected candidate will be required to work 40 hours per week from Monday to Friday. L-applikanti ghandhom ikunu responsabbli li joperaw, inadfu u jissetjaw il-makkinarju assenjat. Il-persuni maghzula ghandhom ikun biezlin, ambizzjuzi u organizzati. Nies b’esperjenza dwar il-makkinarju u l-linja ta' produzzjoni jinataw preferenza. This position calls for a dynamic individual who has a good knowledge of stock control with some background in IT. The ideal candidate will be responsible for managing all inventory control related activities such as execute inventory control measures to ensure the company minimises stock holding and maximises stock system and paperwork accuracy. The chosen individual will also maintain an accurate record of all stock movement and levels; monitor inventories and product expiry dates on a daily basis; verify physical stocks with digital data levels; and perform cyclic periodic stock checks and issuing of reports. Apart from stock control duties, the chosen candidate will also be working side by side with our financial controller to support other duties, such as posting entries into the required software and data maintenance. In addition he / she will be responsible for the posting of purchases, and for the checking and accepting of goods returned to the stores on a daily basis. In this highly interesting and challenging role the ideal candidate should possess the ability to work productively, efficiently and effectively, being a good team player and able to work under pressure. The chosen candidate must exhibit strong interpersonal skills and willingness to learn continuously, be well educated, organised, have an eye for detail and good communication skills. Applying candidates should have a good background in inventory management and detailed understanding of inventory control. We are currently searching for individuals, willing to work on a part time basis preferably in the morning in a busy office environment. Kindly forward us your CV by email to [email protected] by not later than Monday 31st October 2016. Applicants are required to be fluent both in Maltese & English, have excellent communication and negotiation skills and posses a clean driving licence and have own transport. Experience in a similar position is ideal but not essential since training will be provided. An attractive remuneration package is being offered to the right candidates. All interested individuals are kindly asked to send their CV on [email protected] by not later than Friday 4th November 2016. A full time reliable Distribution Coordinator is needed to assist one of the leading companies involved in the local manufacturing sector of food products. The selected candidate shall report directly to the Sales Manager and will provide support to customers to ensure efficient daily operations of all warehousing and distribution accounts. The chosen individual will also have to provide administrative support to the sales team and will be required to co-ordinate with the Logistics Manager, delegate routes and lorries used for each delivery. - Daily process and input of all customer orders and distribution accounts. - Provides daily operational reports that are accurate and timely. - Runs stock reports to check for product availability. - Generates all related paperwork and necessary information required for customer work orders, checks all orders for special requests and post inventory records. - Provides warehouse staff with necessary documents and information needed to complete receiving, and to deliver orders. - Maintains excellent working relationships with customers by responding to all enquiries and complaints concerning work orders, invoices, deliveries, inventory counts, etc. in a courteous and efficient manner. This position calls for an effective team player, with a can-do attitude and the ability to meet the exigencies of the team, be able to work on own initiative and under pressure. The right candidate should possess excellent communication skills in Maltese, English and Italian and willingness to learn continuously. Due to the nature of this position, the individual should also be computer literate with a minimum ECDL certification and a good level of education. Previous experience in a similar position will be considered an asset. A reliable Front Office Clerk is needed to assist one of the leading companies involved in the local manufacturing sector of food products. This is the perfect role for a young hardworking and ambitious individual, with a hands on approach who can eventually progress internally within the company. The main responsibilities will include greeting clients and customers, answering emails and telephone calls and direct them accordingly, data inputting, issuing of invoices and handling day to day requirements from the Management. The ideal candidate should have a pleasant personality, well educated, willing to learn, be able to work in a team and on own initiative. The chosen individual should be a good team player and have good communication skills including English, Maltese and Italian would be considered an asset. S/he should be well organised with excellent customer service skills, has an eye for detail, and holds a minimum O Level standard of education with ECDL qualifications. Applicants with previous experience will be given preference, however in house training will be provided. If you feel you have the qualities, experience and ambition to succeed in this challenging environment, please send your CV and covering letter on [email protected] or by post to Nature Line ltd. by Monday, 4th July 2016. Applicants will be part of our established team, responsible to increase product awareness on the Maltese islands through a dedicated route of shops, supermarkets and catering establishments. Selling our renowned brands will be the daily feat. Candidates applying for this post should be willing to work long hours, able to work on own initiative and within a team in a busy environment. Chosen individuals should have a strong leadership background, work on own initiative, very good communication skills, outgoing personality and a smart appearance. Applicants should have a good level of education, be self-motivated, good marketing techniques and hold a clean driving licence. Individuals with previous experience in the catering sector will be considered an asset. 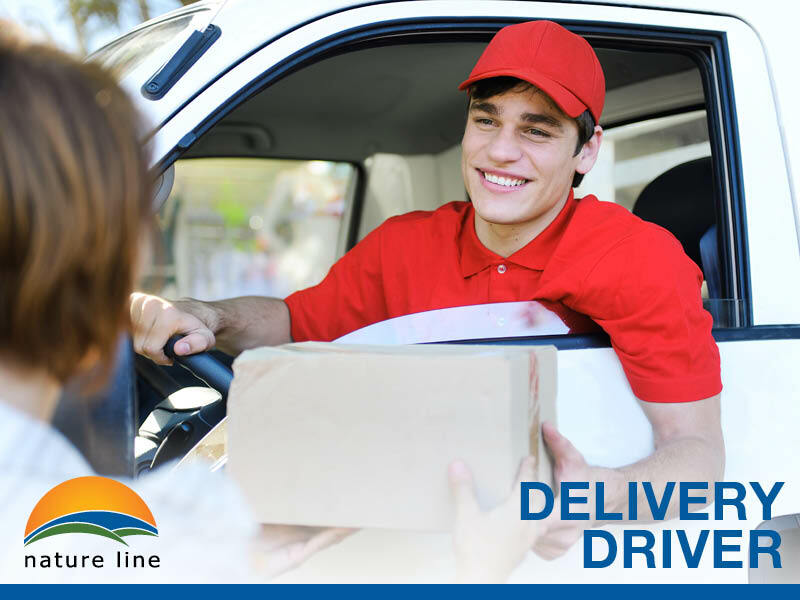 Nature Line Ltd is seeking to recruit delivery persons who will be responsible for the daily loading and distribution of our products throughout the Maltese Islands on full time basis. Reporting to the Logistics Manager, the chosen individual must have the ability to read and write Maltese and English, be self-motivated, able to work under pressure and work on own initiative. Applicants must have a clean driving licence and in possession of a driving licence C or C1, good orientation of localities will be considered an asset. Candidates with experience in a similar position will be given preference. All applicants must be responsible, well-organised and self motivated, and willing to work extra hours when required. Be honest team players and able to work on own initiative in a very busy environment. A good salary with commission and other allowances are being offered to the right candidates. Nature Line Ltd is seeking to recruit a mature, responsible and experienced Storekeeper Supervisor to join their team. The person we are looking for should be smart, well mannered, a good team player and an all rounder with excellent leadership skills. Under general direction, the chosen individual will be responsible for all material, routine supervision, stores management, stores organisation, stocktaking, consignment checks, loading of goods and manage incoming and outgoing merchandise on a daily basis. From time to tome, the chosen individual will also need to deliver goods to local outlets. Interested persons need to handle problems quickly and efficiently and be in a procession of a clean driving licence and be able to drive a forklift. A category C driving licence will be considered an asset. Applicants with previous experience will be given preference. If you feel you have the qualities and experience to succeed in this challenging environment, please send your CV and covering letter by not later than Monday, 14th December 2015 to the managing director via email on [email protected] or by post to Nature Line Ltd 30, New Street Qormi - QRM 2127. 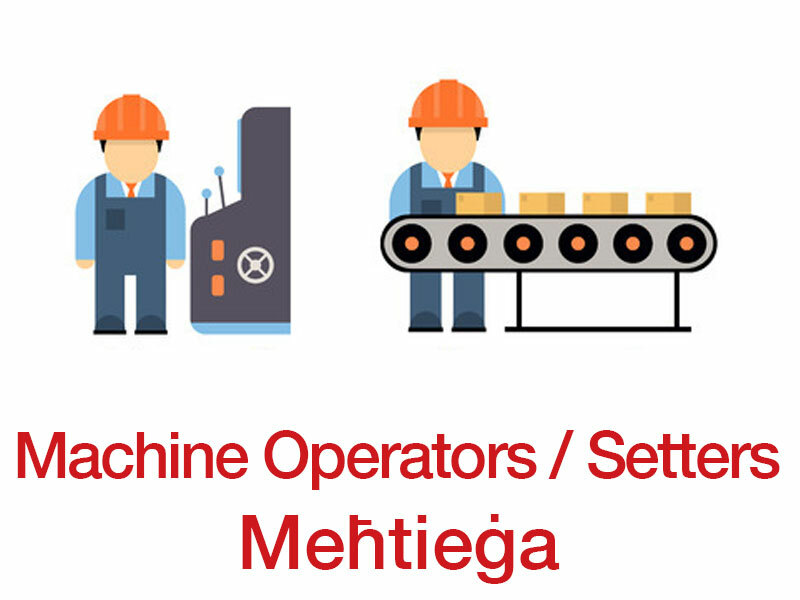 Applicants shall be responsible for setting, operating and cleaning the assigned machinery at our production factory. The ideal individual must be hardworking, ambitious and well organised with hands on experience on production line machinery. Should be a good team player, have an eye for detail, good communication skills and pre-empt situations. The chosen individual will also maintain an accurate record of all stock movement and levels, monitoring inventories on a daily basis, verify physical stocks with digital data levels, perform cyclic periodic stock checks and issuing of reports. Apart from stock control duties, the chosen candidate will also be working side by side with our Financial Controller to support other duties, such as posting entries into the required software. In this highly interesting and challenging role the ideal candidate should possess the ability to work productively, efficiently and effectively, being a good team player and able to work under pressure. The chosen candidate must exhibit strong personal confidence and willingness to learn continuously, well educated, organised, have an eye for detail and good communication skills. Applying candidates should have a good background in inventory management and detailed understanding of inventory control. 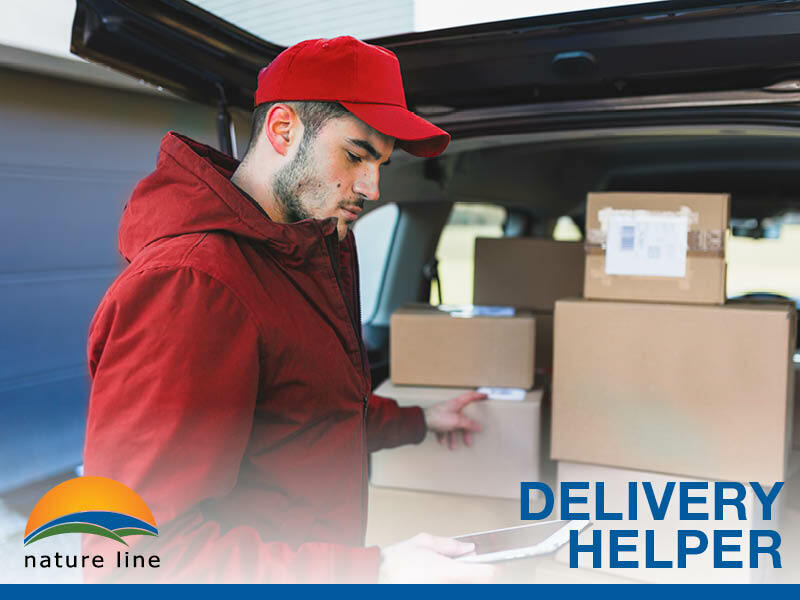 Nature Line Ltd is seeking to recruit delivery persons who will be responsible for the daily loading and distribution of our products throughout the Maltese Islands on full time basis. Individuals interested in this position need to have a strong leadership background and must know how to handle problems quickly and efficiently. In addition, candidates must be passionate about customer service and possess excellent organisation and communication skills. Reporting to the Logistic Managers, the chosen individual must have the ability to read and write Maltese and English, be self-motivated and able to work under pressure. Applicants must have a clean driving licence and in possession of a driving licence C, good orientation of localities will be considered an asset. Candidates with experience in a similar position will be given preference. All applicants must be responsible, well-organised and self motivated, and willing to work extra hours when required. Be honest team players and able to work on own initiative in a very busy environment. A good salary is being offered to the right candidates. Nature Line Ltd is seeking to recruit a mature, responsible and experienced Storekeeper to join their team. The person we are looking for should be smart, well-mannered, and a good team player. Persons who have experience in stores management, stores organisation, stocktaking and consignment checks will be given preference. The person interested in this position needs to have a strong leadership background and must know how to handle problems quickly and efficiently. Applicants must be in a procession of a clean driving licence and be able to drive a forklift. A category C driving licence will be considered an asset. The selected candidate will be required to work 40 hours per week from Monday to Friday. All applicants must be responsible, accurate and well-organised. Be honest team players, outgoing, able to work on their own initiative in a very busy environment, willing to work extra hours when required and able to work in a dynamic environment. We are looking for lorry drivers / delivery persons, who will be responsible for the daily loading and distribution of our products throughout the Maltese Islands. Persons interested in this position need to have a strong leadership background and must be able to handle problems quickly and efficiently. In addition, candidates must be passionate about customer service and possess excellent organisational and communication skills. Reporting to the Logistics Manager, the chosen individuals must have a good level of education, be self-motivated and able to work under pressure. Applicants must have a clean driving licence and be in possession of a Category C driving licence, while good orientation of localities will be considered an asset. Applicants must be responsible, accurate and well-organised, honest team players, be outgoing, able to work on their own initiative in a very busy environment, and willing to work extra hours when required and able to work in a dynamic environment. Candidates with experience in a similar position will be given preference. Applicants will be part of our established team responsible to increase product awareness on the Maltese islands through a dedicated route of shops, supermarkets and catering establishments. Selling our renowned range of Lamb Brand products amongst other notable brands will be the daily feat. Candidates applying for this post should be willing to work long hours, able to work within a team and in a busy environment. Chosen individuals should have a strong leadership background, very good communication skills, outgoing personality and a smart appearance. Applicants should have a good level of education, be self-motivated, good marketing techniques and hold a clean driving licence. Individuals with previous experience in the catering sector will be considered as an asset. This position calls for a dynamic individual who has a good knowledge of stock control with an accounts and IT background. The ideal candidate will be responsible for managing all inventory control related activities such as execute inventory control measures to ensure the company minimizes stock holding and maximizes stock system and paperwork accuracy. Apart from stock control duties, the chosen candidate will also be working side by side with our Financial Controller to support other duties, such as posting entries into the required software and will also be in charge of back ups and updates of our IT system within the company. In this highly interesting and challenging role the ideal candidate should possess the ability to work productively, efficiently and effectively, being a good team player and able to work under pressure. The chosen candidate must exhibit strong personal confidence and willingness to learn continuously, well educated, organised, have an eye for detail and good communication skills. Applying candidates should possess relevant IT skills, and a professional qualification or background in inventory management and detailed understanding of inventory control. Suitable candidates must be fluent in both written and spoken Maltese and English, whilst knowledge of the Italian language would be considered an asset. Candidates with an O’ Level in accounts or better will be given preference. A reliable Sales Support and Distribution Administrator is needed to assist one of the leading companies involved in the local manufacturing sector of food products. The selected candidate shall report directly to the Managing Director and will primarily be responsible for providing excellent customer service as the front-line contact with our customers and to provide administrative support to the sales team, enabling the team to maximise sales and improve customer experience. The selected individual will be required to co-ordinate with the Logistics Manager, delegate routes and lorries used for each delivery. On a daily basis, the chosen candidate should carry out one to one meetings with the sales team to go through the orders of the day and discuss prices and offers. We are looking for truck drivers / delivery persons, who will be responsible for the daily loading and distribution of our products throughout the Maltese Islands. Persons interested in this position need to have a strong leadership background and must know how to handle problems quickly and efficiently. In addition, candidates must be passionate about customer service and possess excellent organisation and communication skills. Reporting to the Logistic Manager, the chosen individuals must have a good level of education, be self-motivated and able to work under pressure. Applicants must have a clean driving licence and in possession of a driving licence C, good orientation of localities will be considered an asset. 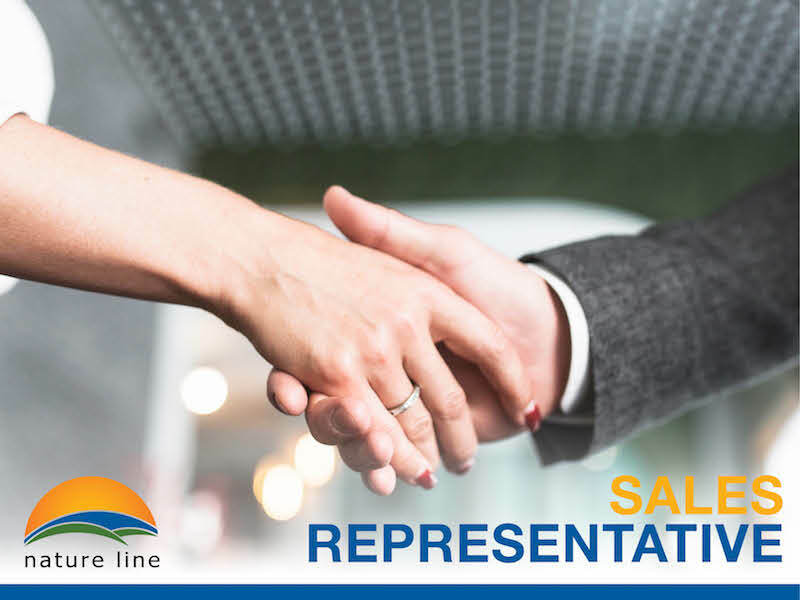 Nature Line Ltd is currently searching for an experienced Sales Representative for immediate employment on part time basis. The ideal candidate should be responsible, customer oriented, eager to learn, fluent in Maltese and English with a can do attitude. Chosen individuals should have good communication skills, an outgoing personality, good marketing techniques and a smart appearance. He or she must also possess a clean driving licence. The successful applicant would be a flexible individual who is willing to work to the needs of the business. Individuals with previous experience in pet shops will be given preference, however training will be provided. Chosen individuals should have a strong leadership background, very good communication skills, outgoing personality and a smart appearance. Applicants should have a good level of education, be self-motivated, good marketing techniques and hold a clean driving licence. Individuals with previous experience in the catering sector will be given preference. We are currently seeking to recruit a full time Technical Maintenance Administrator. 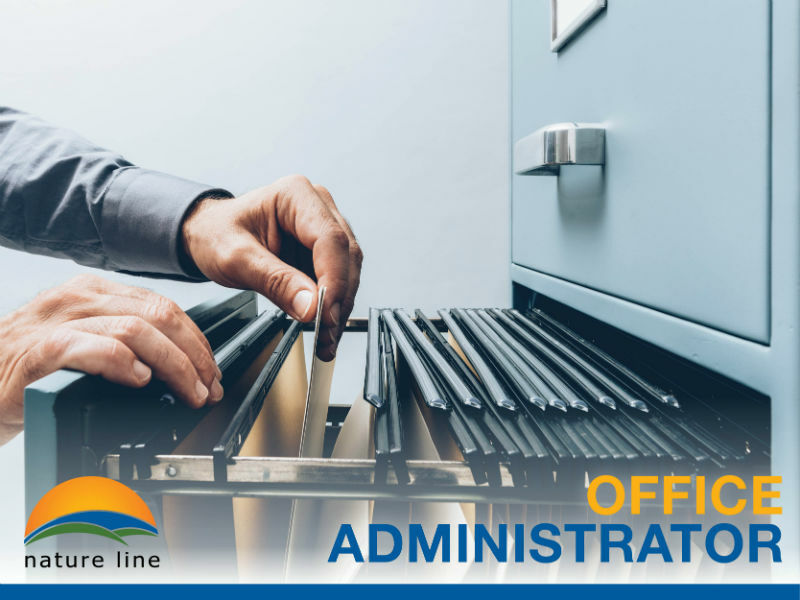 The administrator will be responsible to run the day-to-day operations of machinery, find ways to make the company more productive by providing effective cost cutting methods in its business operations. Corresponding with foreign companies to order machinery parts, repair machines and taking care of their maintenance, together with the general up keeping of all factory areas and systems is part of his/her daily routine. The person interested in this position needs to have a strong leadership background, great communication skills and must know how to handle problems quickly and efficiently. In addition the ideal individual must be hardworking, well organised with hands on experience on production line machinery, be self-motivated and able to work under pressure. He or she should be able to provide a work environment that leads positive energy, creativity and teamwork among employees. Reporting directly to the Managing Director, the chosen candidate must have a good level of education, a minimum of 2 years of job-related experience, should be a committed proactive individual with good computer and organisational skills, holding OTD/HTD certificates or equivalent and electrical licences A and B. Applicants shall be responsible for setting, operating and cleaning the assigned machinery at our production factory. The ideal individual must be hardworking, ambitious and well organised with hands on experience on production line machinery. Should be a good team player, have an eye for detail, good communication skills and can think on their feet and pre-empt situations. The chosen candidate will be responsible for the operation and upkeep of machinery whilst ensuring that production targets are met and the work produced is in line with quality standards. Applicants will be part of our established team responsible to increase product awareness on the Maltese islands through a dedicated route of shops, supermarkets and catering establishments.Selling our renowned range of Lamb Brand products amongst other notable brands will be the daily feat. Chosen individuals should have a strong leadership background, very good communication skills and should be able to work within a team. Applicants should have a good level of education, be self-motivated, good marketing techniques and hold a clean driving licence. Individuals with previous experience in the catering sector will be given preference. 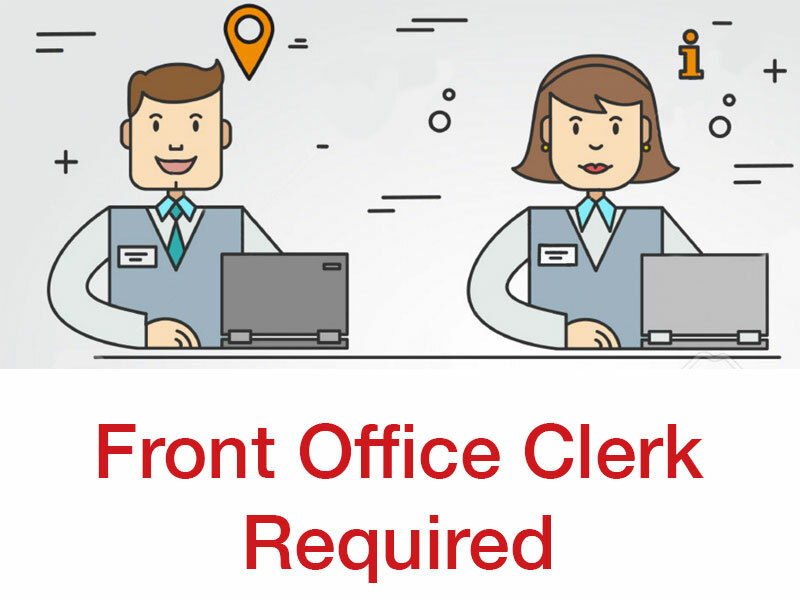 As a data entry clerk you would update, maintain and retrieve information held on computer systems. You would also transfer information that is on paper to computer files. The ideal candidate should enjoy working with computers, work quickly and accurately. He/She should be well organized with excellent customer service skills, has an eye for detail, holds a minimum O Level standard of education, can work on own initiative and good computer skills. Candidates with ECDL qualifications and previous experience will be given preference, however in house training will be provided. We are looking for a delivery person, who will be responsible for the daily loading and distribution of our products throughout the Maltese Islands. The person interested in this position needs to have a strong leadership background and must know how to handle problems quickly and efficiently. In addition, candidates must be passionate about customer service and possess excellent organization and communication skills. Reporting to the Logistic Managers, the chosen individual must have a good level of education, be self-motivated and able to work under pressure. Applicants must have a clean driving licence and in possession of a driving licence C and good orientation of localities is considered an asset. 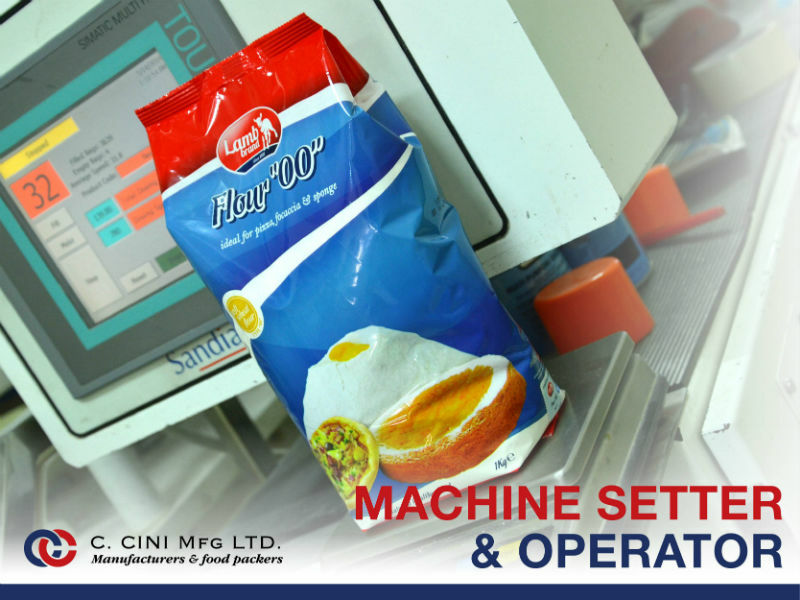 C. Cini Mfg Ltd has been established since 1931 and it has developed into a medium-sized organization that deals with the manufacturing and packaging of its own products Lamb Brand. We are currently seeking for a full time machine operator. The ideal individual must be hardworking, ambitious and well organised with hands on experience on production line machinery. Should be a good team player, have an eye for detail, good communication skills and can think on their feet and pre-empt situations. The chosen candidate will be responsible for the operation and upkeep of machinery whilst ensuring that production targets are met and the work produced is in line with quality standards. Applicants with previous experience in similar posts will be given preference. Nature Line are looking for promoters! Have you got an open and bubbly character, love to talk to people, know how to promote and sell products and over all enjoy cooking? Then if your answer is yes, you have all what it takes for this successful post. The post calls for an individual who is responsible for the daily operation, maintenance, user access, user support and security of all technology procedures within the company in both hardware and software related day to day duties. Apart from the IT administration duties the chosen candidate will also be working side by side with our Financial Controller and Administration personnel to support other duties, such as working out costings, posting entries into required software, monitoring inventories on a daily basis, verify physical stocks with digital data levels, periodic stock-takes and issuing of reports. - Be in possession of a reliable qualification in the IT sector. - Have a good working knowledge within Microsoft Operating Systems (Windows Server 2012/2008 and Windows 7), Exchange 2013, SQL 2008, Access Dimensions and fluent with other operating systems like OSX, tablet and mobile devices. Being a good team player and able to work on own initiative and under pressure, the chosen candidate must exhibit strong personal confidence and willingness to learn continuously, be dynamic and creative, well educated, organised, have an eye for detail and good communication skills including English, Maltese and Italian languages would be considered an asset, whilst candidates with some knowledge of accounts will be given preference. We are recruiting! We are searching for ambitious, friendly and hardworking individuals that would like to be part of our sales team. A good and responsible team player is needed to increase product awareness within the Maltese islands through a dedicated route of shops and supermarkets. The selected candidate will form part of our established team, by selling and merchandise our renowned range of Lamb Brand products amongst other notable brands like Hello, Life, Che Pasta, Molino, Guzelpinar and much others. The person interested in this position needs to be a quick problem solver and possess good communication skills, with a good time management , ready to work long hours (morning\evenings and in possession of a clean driving license. Reporting to the Sales Manager and Sales Administrator\Reliever, the chosen individual must have a good level of education with a good knowledge of Maltese, English, Italian and Mathematics, able to work under pressure, be self-motivated, loves food and enjoys cooking. Applicants with previous experience in sales and marketing will be given preference, however in house training will be provided. This is the perfect role for a young hardworking and ambitious individual , with a hands on approach who can eventually progress internally within the company. C. Cini Mfg Ltd has been established in 1931, and it has developed into a medium-sized organization that deals with the manufacturing, importation and distribution of groceries across the Maltese Islands. Nature Line Ltd has been set up to distribute imported and other products manufactured by C. Cini Mfg Ltd. Currently all vacancies are filled, but should you wish to send us your CV, we will keep this in our files for any future posts that might arise within our company. In this highly interesting and challenging role the ideal candidate is required to work side by side with one of the Directors of the company, answering important emails and phone calls as well as offering assistance in preparation for meetings and conferences. 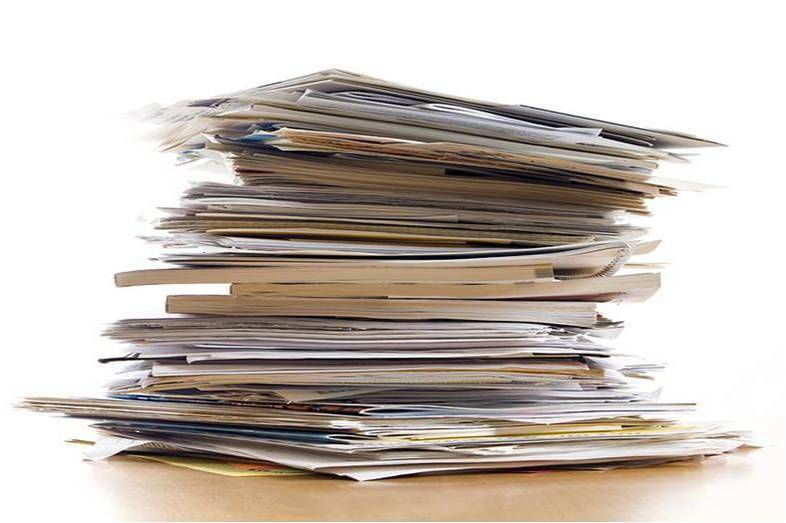 Liaising with suppliers and coordinating with forward companies to receive all orders in a timely efficient manner. Be on the lookout for new EU and local funding schemes and tenders which may be beneficial to the company and prepare all the necessary documentation. The post calls for a dynamic, creative, well-educated, organised individual who is a good team player and can think on their feet and pre-empt situations. An eye for detail, good communication skills including English, Maltese and Italian languages would be considered an asset, whilst some knowledge of accounts is also required. Applications are open until Monday 27th January 2014. Nature Line & Lamb Brand are looking for a Personal Assistant! A reliable PA is needed to assist a busy entrepreneur involved in the local manufacturing sector of Lamb Brand & Nature Line products. In this highly interesting and challenging role the ideal candidate is required to work side by side with one of the Directors of the company, answering important emails and phone calls as well as offering assistance in preparation for meetings and conferences. This position is ideally suited to a dynamic educated individual, who can think on their feet and pre-empt situations. An eye for detail, good communication skills including English, Maltese and Italian Languages and preferably some knowledge of accounts are also required. This is the perfect role for a young hardworking and ambitious individual who can eventually progress internally within the company. We are looking for a Sales Representative, who will be responsible to increase product awareness on the Maltese islands through a dedicated route of shops and supermarkets. The selected candidate will form part of our established team, selling our renowned range of Lamb Brand products amongst other notable brands like Che Pasta, Life, Molino, Guzelpinar, Hello, Polara and others. The person interested in this position needs to have a strong leadership background and must know how to handle problems quickly and efficiently. In addition, he or she must have great communication skills and should be able to work within a team and on own initiative. Reporting to the Sales Manager, the chosen individual must have a good level of education, be self motivated, able to work under pressure, posses a clean driving license, loves food and enjoys cooking. Applicants with previous experience and marketing techniques will be given preference. We are looking for a Store Keeper, who will be responsible in organising and keeping up of all stores, manage incoming and outgoing merchandise on a daily basis. Must take care that stored items are kept in good condition and will go out with deliveries to local outlets from time to time. The person interested in this position needs to have a strong leadership background and must know how to handle problems quickly and efficiently. In addition, candidates must be passionate about customer service and possess excellent organization and communication skills. Reporting to the Logistic Managers, the chosen individual must have a good level of education, be self motivated and able to work under pressure. Applicants must have a clean driving license, preferably license C and good orientation of localities is considered an asset. Candidates with experience in a similar position will be given preference. Reporting to the Logistic Managers, the chosen individual must have a good level of education, be self motivated and able to work under pressure. Applicants must have a clean driving license and in possession of a driving license C and good orientation of localities is considered an asset. We are looking for a Financial Controller, who will be responsible to organise and control an accounting system which ensures accurate management of the company's financial affairs. Coordinate with all departments and prepare annual budget based on the company's plans and strategies. Submit monthly financial statements to allow review of the company's financial status and maintain relations with banks and other financial institutions. He or She will be assigned to measure performance against financial plans and standards for each department and ensure effective property and asset management, while keeping an eye on all opportunities related to EU schemes. The person interested in this position needs to have a great communication skills and must know how to handle problems quickly and efficiently. Reporting directly to the Managing Director, the chosen individual must have a degree in accountancy or an equivalent professional qualification from an institute such as ACCA or ACMA. The chosen candidate should posses a warrant to act as accountant and / or auditor. Must have strong analytic and reasoning abilities, superior numeric skills, must have the ability to establish credibility and be decisive, be tactful, mature and flexible. We are looking for a Sales Manager, who will be responsible for handling day-to-day Sales Admin activities including organising daily routines, processing of reports, sales analysis, work in progress and customer relations. Targeting growth and expansion and doing his / her best in surpass established targets is the main objective of this post, while developing strategies and sales pitches, organizing and managing a good team of sales representatives and often doing a little selling him/herself. The person interested in this position needs to have a strong leadership background and must know how to handle problems quickly and efficiently. In addition, he or she must have great communication skills and should be able to provide a work environment that leads positive energy, creativity and teamwork among employees. Reporting directly to the Managing Director, the chosen individual must have a good level of education, be self motivated, able to work under pressure, loves food and enjoys cooking. In addition, the selected person must have excellent written and spoken Maltese and English as well as Italian. Applicants with previous experience and marketing techniques will be given preference. The ideal candidate will be responsible in organising and keeping up of all stores, manage incoming and outgoing merchandise on a daily basis. Must take care that stored items are kept in good condition and will go out with deliveries to local outlets from time to time. be passionate about customer service and possess excellent organization and communication skills. The person interested in this position needs to have a strong leadership background and must know how to handle problems quickly and efficiently. In addition, he or she must have great communication skills, possess strong proper grammar usage, proofreading abilities and copywriting abilities, have an eye for detail and a flair for visuals. Reporting directly to the Managing Director, the chosen individual must have a good level of education, be self motivated, able to work under pressure, loves food, enjoys cooking and an avid writer. Be well informed on what's happening in the print and online sector. Applicants with tertiary level of education in Marketing, Communications or related disciplines and with experience in a similar position will be given preference. The ideal candidate will be responsible to run the day-to-day operations to find ways to make the company more productive by providing effective methods in its business operations, controls inventory, handles logistics and interviews and supervises employees. The person interested in this position needs to have a strong leadership background and must know how to handle problems quickly and efficiently. In addition, he or she must have great communication skills and should be able to provide a work environment that leads positive energy, creativity and teamwork among employees. Reporting directly to the Managing Director, the chosen individual must have a good level of education, be self motivated, able to work under pressure, loves food and enjoys cooking. Applicants with previous experience and marketing techniques will be given preference. Since C. Cini Mfg Ltd has been established in 1931, the company has developed into a medium-sized organisation that deals with the manufacturing, importation and distribution of groceries across the Maltese Islands. 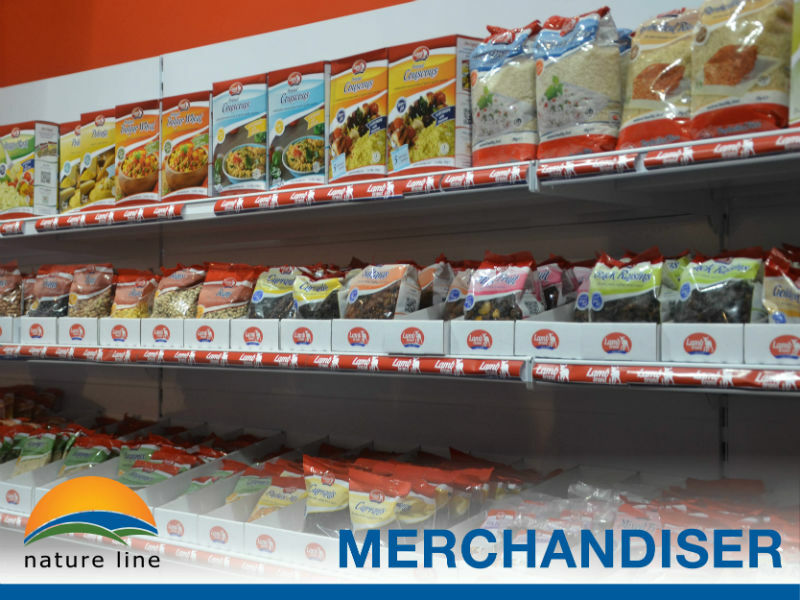 Nature Line Ltd. has been set up to distribute imported and other products manufactured by C. Cini Mfg. Rapid growth over the years has opened the door for various interesting recruitment opportunities for prospective employees. At the moment we have the current vacant posts, however, the group is always on the lookout for talented people. If you are responsible, accurate, well-organised, honest, a team player, outgoing and able to work on your own initiative in a busy environment, then we would love to hear what you can offer to C. Cini Mfg Ltd. Candidates would also be expected to work extra hours when required. Meanwhile, click on the vacancies below to learn more, and if you are interested in the posts available, follow the instructions to apply accordingly.